Just a few days after the launch of the Galaxy Nexus on Verizon, Android enthusiasts have found a number of ways to get around the US carrier’s attempt to block Google Wallet from its version of the phone and users are now successfully making NFC payments. Verizon’s request to Google that its version of the Galaxy Nexus should ship without Google Wallet has led to a very busy few days for hackers intent on finding a way around the carrier’s plans. Verizon began shipping the new device on Thursday 15 December and it took until just the next day for the first hack to be developed and for the first Verizon Galaxy Nexus phones to begin running Google Wallet. These first versions required users to gain root access to their phones before installing Google Wallet, however — something that would have been likely to restrict the NFC mobile wallet to phones owned by developers. By Sunday morning, though, a new hack had been developed that was much simpler and did not require root access. 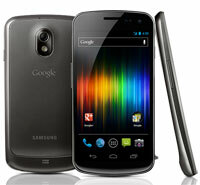 Members of the XDA Developers Forum, who were also the first to port Google Wallet onto the original Nexus S, have published an Android application package file (APK) that enables Verizon Galaxy Nexus users to add Google Wallet without rooting their phones — all that’s needed is to download the APK to the phone. Results have been variable so far, with some users reporting complete success while others complain of forced closure of the app and some even getting error messages which indicate their device’s secure element is no longer responding. It’s not 100% clear at this point why the ‘hack’ is possible, but NFC World understands that it may be because Google has prevented official downloads of Google Wallet by Verizon Galaxy Nexus devices by simply filtering it out of the apps available to the handset in Android Market. That would mean users who obtain a copy of the app package from another source, such as the XDA forums, would be able to install it freely. As well as becoming the centre of hackers attention over the weekend, Verizon has also come under fire from consumer rights organisation Free Press which filed a letter with the Federal Communications Commission, urging it to investigate Verizon Wireless’ actions regarding Google Wallet and questioning whether the carrier has the legal right to prevent the application from being shipped with its phones.